At Redgate lodge, we always strive to offer our customers excellent value for money in the products and services we provide. We work hard behind the scenes to ensure that if you have an issue with your car, or even need to be updated, that we have the robust systems in place to take care of everything. We have listed some items covered within Preparation and Support fee, so you have confidence knowing that it offers excellent value and we only charge it for the right reasons. We are proud to be one of the largest independent dealers in the North East and have won numerous national awards for our Aftercare and Customer Service. We have over 1,700 five-star reviews for your reassurance. Read on to discover more about our intensive vehicle preparation, and for the journey ahead. 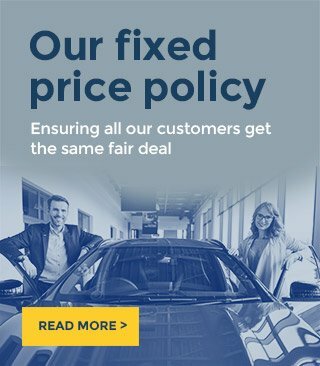 97% Of our cars are already advertised in line with Autotraders “GREAT PRICE or LOW PRICE” indicator, and we check our prices daily to ensure we are the most competitive in the market. "Our prices are comparable and, in most cases, better than the car Supermarkets and main dealers." All cars are supplied with a 12-month platinum warranty, which is the highest level of cover. Please see our Warranty page for more information or ask a member of the team for details. "Many dealers offer a 3-month warranty or less! Some offer the option to upgrade to 12 months at an additional cost, often with a poor level of cover"
Every car leaves us with a Service and a Full 12 Months MOT regardless of when the last one was completed, for example, if a vehicle has 10 months MOT remaining we will still carry out a new test. This is because a MOT test is open to interpretation and we would rather our own experienced MOT testers inspect the vehicle to give their opinion. "Many dealers will top up the oil and call it a service! Most will not Service or MOT the car if either were completed within the last 6 months"
We have our own on-site Bosch service centre and a team of experienced technicians that have all benefitted from in-depth training and development from Bosch. We have dealer level diagnostics from Delphi, Snap-On and Bosch. We are also linked electronically to BMW, VW Group and Mercedes Benz and are able to update their service system on your behalf. "Many independent dealers do not have their own workshop and use independent garages for preparation. This leaves you with no choice but to find your own garage if your car develops a problem. When you do find a garage, they have no obligation to deal with your warranty company, or even support you as they did not supply the car"
We use only the best quality parts on your car during preparation. Bosch are a major supplier to car manufacturers, and as an authorised BOSCH service centre we have extensive access to quality parts. We are approved by and use Petronas Oils (Mercedes Original Oil), and when we need to re-new brake parts, we use Padgid or Brembo, supplied to Porsche, Mercedes and used on many high-performance cars. We fit the same quality of parts regardless of the car and its price. From a Fiesta, to a Range Rover, all parts are equal quality. We use only the best quality parts for our cars, you can be assured of their longevity. In extreme cases when there is an issue, all parts we fit are guaranteed for a minimum of 12 months. "Many dealers will fit the cheapest components available with little or no regard to their longevity after the car is purchased and after the warranty runs out, leaving you with potential bills for replacements"
Our own CarSpa valet centre methodically and meticulously prepare each car to the cleanest condition possible using the finest cleaning chemicals. We use AutoGlym products extensively during preparation to present your new car in the best possible condition and ensure the longevity of its finish in the future. "Because of our in house CarSpa and our excellent relationship with AutoGlym, we do not outsource any of our valet or bodywork to others"
Finally, once the preparation is complete, you will receive a fully documented BOSCH health check for your car including details of everything that has been checked and the condition it is in. We also provide you with extensive paperwork listing everything that has been changed, replaced or renewed during preparation. "How many other dealers give as extensive pre-sale preparation as us, and document it. If you are looking at a car elsewhere, be sure to ask what their preparation entails?" Some dealers charge Admin fees with little or no benefits. Some dealers promote the fact they don’t charge admin fees, yet their cars are overpriced! In these cases, fees are built into the price of the car with minimal pre-sale preparation and minimal support for the journey ahead. We are so confident in our Preparation + Service Support package that if you can find a like for like car at another garage with the same level of preparation and service support, we refund/waive the £99 fee and give you £500 cash back! We know that it can be a pain if your car is off the road due to mechanical issues, or even just booked in for a service or MOT. Our sister company Bosch Car Service have four courtesy cars available, meaning you are not inconvenienced in any way. The courtesy cars are charged to customers at a cost of £17+VAT per day, but is FREE of charge to anyone who has purchased a car from us as we pick up the bill from BOSCH on your behalf. Please state upon making any bookings if you would need the use of our courtesy cars. Also, please bear in mind the insurance cover is subject to age, driving experience, and also takes into consideration any convictions on your license. Remember when possible to book in advance as all courtesy cars are in very high demand. We have an internal warranty team in place to process any claims efficiently, meaning you get your car back at the earliest available opportunity. There is no waiting around for independent assessor to check your car over and validate claims, as we have auto authorisation on claims up to £500. In addition to this we also process all the paperwork, meaning a quick and simple process for customers with no money to hand over and no need to chase warranty companies for payment. A warranty is an insurance product and like car insurance, warranty companies charge an excess whenever a customer makes a claim. Our warranty company charge £30 excess meaning customers are usually responsible for the first £30 of any claim. As part of our Preparation / Service Support Fee we will pay the warranty excess, regardless of where you are located in the UK or whichever garage you choose to complete the repairs. Warning lights provide a clear sign to drivers that something is amiss with their vehicle. If you see a warning light appear on your dashboard, it may be simply due to a small insignificant and easy to repair fault, or it may be a sign that there is a serious underlying problem with the car. Even if you aren't experiencing any performance issues, it's essential to get the cause of the warning light checked and rectified ASAP. As part of our Preparation / Service Support Fee if you bring your car to Bosch Car Service you will not be charged for any diagnostic work as once again we will pick up the bill (Recommended retail price £60 +VAT). This is valid for the length of time you own the vehicle and is normally charged at a rate of our Service Support. What happens if a dreaded warning light pops on when your warranty has expired? What about an unexpected repair charge following an MOT? Our Service Support customers are able to exclusively benefit from our partnership with Payment-Assist and take the fear out of motoring. You can spread the cost of repairs over 4 manageable payments (or 4 months) subject to a 25% payment up front. It’s all arranged quickly and easily by BOSCH Service and there are NO credit checks for work under £1000. Our service support customers enjoy their first MOT at trade price!! That's a £15 saving one the usual (rrp) £40. One of the most daunting aspects of car ownership is MOT time! Will it pass? Will it fail? Will I be recommended to replace unnecessary parts? Fortunately, our on-site BOSCH service centre are here to take away the uncertainty. Our state of the art Tech-Man system gives our technicians accurate and up to date information for every car. We take photos and even a video straight from the system and send you details of failures and advisories via text and email with detailed commentary from your technician, so you can see the issue for yourself (if any)! Furthermore, we never complete any work that will cost you money without your prior authorisation. Choose to have your car serviced by us at the same time and benefit from a prestigious BOSCH service stamp in the book, with all online manufacturer records updated too. Something that's particularly relevant and essential to modern Prestige German cars (BMW / AUDI / MERCEDES). Service Support customers are able to exclusively benefit from 10% discount on Bodyshop repairs and our paint less dent removal service. We also offer 10% discount on Alloy wheel repair. But what if you have picked up a scratch or stone chip not worthy of the full Bodyshop experience? We have you covered.... You can enjoy completely FREE minor touch ins to chips, scratches and even minor kerbing damage. Want to recreate the feeling of collecting your new car? Our Service Support customers car now get an exclusive 10% off any treatment at our on-site Car Spa. Use the discount as many times as you like to have your car looking as good as the day you bought it! Many of our customers like to swap over to Winter tyres to cope with the wintery conditions on our roads, especially those driving powerful or rear wheel drive cars. Our Service Support customers will have the wheels or tyres swapped over to their own winter tyres, and back to all season again as many times as you like! Free puncture repairs for life are included in our Service Support, not only saving time and inconvenience but saving a great deal of money too! In our experience, the best way to avoid big repair bills it to spot potential problems before they can become real problems! It’s for that reason we give all customers that have purchased a car from us a FREE fully documented Winter and Summer check. The 30-point BOSCH inspection checks all areas of concern such as brakes, suspension, tyres and all fluid levels. The Service Centre prepare a detailed report with any remedial work recommended as necessary including pictures, videos and advice directly from the BOSCH technicians. The usual price of this comprehensive check is £20+VAT. As part of our Preparation / Service Support Fee, we pay for this inspection. Not only do we want to supply you with a new car, but also your friends, family, neighbours and in fact anyone you associate with. We are both proud and very fortunate to receive many referrals by our delighted customers. To recognise and reward this, customers are supplied with 3 referral vouchers on handover worth £150. If you are lucky enough to use all 3, we will of course supply you with as many as you need for future referrals. Customers taking advantage of our Service Support now have exclusive access to our dedicated Accident Support team, who work in conjunction with our on site Bodyshop. Following any accident big or small, you will be provided with a hire car to use immediately while our team make all the necessary arrangements to have your car back on the road and looking better than ever. Our dedicated call centre staff are available from 8am until 8pm weekdays, 9-5 Saturday and 10 until 4 on a Sunday. Our team of legal experts are also on hand to deal with any expenses as a result of your claim. We have a service admin team in place who send you reminders when your car is due for service, MOT and also confirmation of bookings you may make to the Bosch Service centre via text straight to your mobile, and also via email, meaning you never have to worry about missing your MOT due date or go overdue on your service (which can lead to warranties becoming void). Due to demand we recommend you book in early. Your new car has already benefitted from a full AutoGlym platinum valet for display on our fourcourt. In addition to this our car spa team will carry out a Gold Valet ready for collection (rrp) £50+VAT. This includes a wash and polish to the exterior paintwork and glass, tyre shine, and a full interior hoover with hard surfaces dusted. Prior to collection we will always add some fuel, so the first journey in your new car isn’t worrying if you will make it to the petrol station or not. Please consider that all cars we purchase tend to have little to no fuel left in them by the previous owner. We like to ensure there is at least enough fuel to turn any warning lights off, typically a range of 30-60 miles. V5 registration documents are completed by us and sent to the DVLA “recorded delivery” at an extra cost, so we can track your document if ever there is an issue, again taking out the hassle for you of registering your new car in your name. We also help you with your new car by administering your tax for your new vehicle on site on day of collection, meaning when you leave your car is road legal. If you choose to have your paintwork protected by our market leading Williams Ceramic coat we also administer the lifetime warranty that covers the product. We also take care of any warranty claims on the product for the full duration of your ownership. We take care of the HPI on your new car as a matter of course and we also HPI check your part exchange (if you have one) at our expense, typically in the region of £10-15. You do not need to HPI a car you are purchasing from us. Please consider that when we purchase cars we think the same as our customers and we are very picky about our stock. We look at service history, owners, condition and more importantly mileage checks and HPI (which we also must pay for). If you would like a copy please ask and we will be happy to provide you with one. We do a great deal of work behind the scenes with our partner finance providers. From negotiating excellent rates with our current partners, to bringing additional finance companies on board if we feel they have a great product for our customers. We process all your finance needs in house, setting up your new package including all relevant identification checks and completing all paperwork on your new agreement from initial set up to completion phase. We fully settle any existing finance on your part exchange, meaning you don’t have to do anything. All part exchanges are settled usually within three working days depending on finance company.